The money that football fans will be shelling out for the big game would definitely be worth it. But would the advertisers who shell out $4 million for a 30-second ad get their money’s worth? The study conducted by Communicus was covered in Ad Age January 6 and was originally published in 2013. It found out that out of five Super Bowl commercials, only one can actually spur consumers to buy or create patronage among consumers. 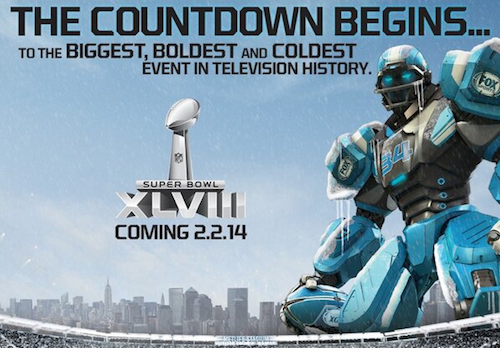 For the Super Bowl XLVIII, the firm will study what strategy among the advertisers is most effective. According to the advertising research firm, advertising should encourage people to buy the products or build purchase interest, and out of every five Super Bowl ad, four failed to attain these goals. The firm found out that the most popular or liked advertisements during the big game are not the most effective companies at selling products. The firm determined this fact by interviewing consumers before and after they saw the advertisements. Doritos would be the best example. This brand has garnered much publicity and consumer involvement through their Crash The Super Bowl contest where they hold an open competition for aspiring advertisers to make their own Doritos ad. Through this, they get high rankings in the USA Today. They also rank high in other polls that focus on liking and attention standards. However, when it comes to persuading consumers to buy their products, none of their four Super Bowl ads has increased their ratings on purchase intentions of brand preference for the past two years. Beck’s Sapphire advertisement ad, which has a singing goldfish, was the most successful commercial in both aspects of raising awareness and purchase interest among consumers. Even though it didn’t get much favour from the critics, it is the best example of how powerful Super Bowl ad can get in introducing a new product. According to the firm, some of the most successful commercials in last year’s Super Bowl ad stage were Best Buy’s “Ask Amy” and Budwiser’s “Brotherhood” ad. The expensive cost of getting Super Bowl ad spots have been an important issue for a long time in corporate America. The advertisement during the big game provides multitudes of audiences and viewers. There is also a big chunk of football fans who are really anticipating what commercials will be shown during the big game, like a cult tradition. This is why the Super Bowl ad stage is advertisers’ favourite venue to show off their heart-warming stories, funny antics, and high production value. However, according to Northwestern’s Kellogg School of Management marketing professor Tim Calkins, a $4 million price tag for a 30-second Super Bowl ad would make it really difficult for marketers to get a return on their investments. But he said that the main reason why advertisers buy the expensive big game slots is because it supercharges their brands. For E-trade, however, it will be sitting out the Super Bowl ad this year, after several years of advertising in the big game since 2007. But that is just a very minimal percent of advertisers skipping this year’s big game. There is still no shortage of advertisers very much willing to buy $4 million slots for the most watched TV event of the year. According to Communicus’ study, 80% of the Super Bowl advertisers fail to persuade consumers to buy their products. The firm even reports that the more expensive it is to run the advertisement, the less effective the commercial. The research used 1,000 consumers and studied their individual buying habits. These consumers range from the age of 21 to 59. They were studied before and after the Super Bowl games of 2012 and 2013. Before the game, the consumers were asked what products they use, what products they usually buy, and what products they plan to buy from the rosters of advertisers for the big game. A couple of weeks after the games, they were asked the same questions to know if the ads really worked. The results show that not all the Super Bowl ads persuaded the consumers to buy the products. People don’t get a spur to buy automobile through snap decision as persuaded by advertisers. However, carmakers are still big buyers of the Super Bowl ad slots, especially General Motors and Toyota. Ads during the big game raise awareness among consumers, but only a small amount of consumers remember the brand that made those wonderfully made ads. New advertisers get more benefits by buying ad slots during the big game because it helps them introduce their brand to the public. More established brands, like Nike, advertise heavily in other venues, which makes their brand strong. But newer brands don’t have that luxury and Super Bowl ad is the best way to raise awareness in a one time shot. The most effective commercial during the Super Bowl last year was “Brotherhood” by Anheuser-Busch InBev, which was about a trainer and a Clydesdale horse. This ad touched the consumers hearts with its captivating story, while also putting more “preference” to the brand, as Communicus reports. With four out of five ads not hitting their target of having more consumers buy their products, ultimately, the study shows that investors are actually not getting their money’s worth in advertising their products in the Super Bowl.